Musings of The Carrot Flower...: Content. Today has been lovely. Quiet, easy, thoughtful. Today has been good. Today I layered myself in clothing pulling my shirts over the little bump that is growing slowly as the baby growing inside me starts to occupy more and more room. 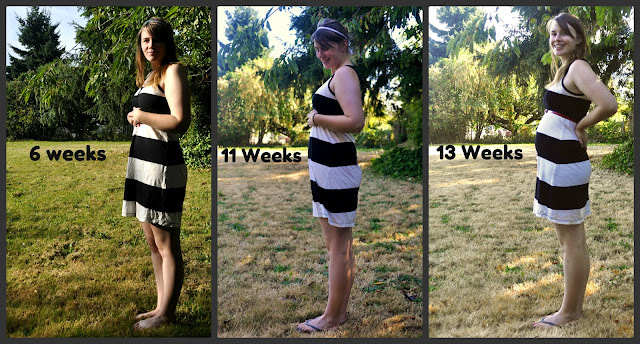 Yesterday was the first day I felt my bump and it felt like a bump and not just a little thickening. Just a small bump, growing a baby. Growing our baby. As I sat in my living room this afternoon, quietly enjoying the company of my hubby and cat, I found myself overcome with joy and had a few tears. I haven't really allowed myself to really enjoy my pregnancy yet. It has all been so very surreal and there have been small disappointments, and truthfully I've been scared of miscarrying. It was the first moment where it just felt so perfect and real. I was just so filled with joy and contentment I couldn't hold it all in and so a few delighted tears filled my eyes as I smiled over at my husband. It was a perfect day to end summer on. We are so excited for you to join our wild and crazy life. You are so very loved and so very wanted. God is taking his time making you perfect and knitting you together in my body. You are the one God has decided we need in our family. We are so happy we get to be your parents. Beautiful my dear. Such a warm note for your wonderful child! !